We’ve spent the last year talking about how your feature requests have driven the Hub product roadmap. If you’ve been paying attention, you’ll have noticed that the last two releases (shhh…and the next two!) are filled with improvements based on customer requests, with special attention to improving the legal and compliance features within the Hub. Snippets are finally here—and the discussions on how to drive the next iterations on the feature will be lively. There’s even an entire session focused on how best to use the legal and compliance features in the Hub. This is hands-down my favorite session coming up at FLIGHT Amsterdam. Synopsys executives are excited about joining FLIGHT Amsterdam. 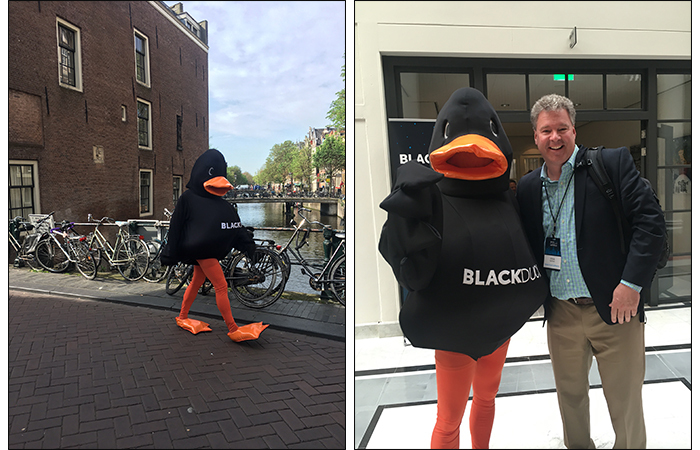 Not only will our leadership team be on hand to meet with you and discuss Black Duck Hub features and product roadmaps, but there will be a session introducing how Black Duck fits into the ecosystem of Synopsys and all the cool things coming as the companies join forces. Ducky is obviously a huge part of FLIGHT. He’ll make surprise appearances and be featured prominently everywhere, and he may even share a few really fun surprises for those of you who join us in Amsterdam this May…but that’s the one secret I will keep.